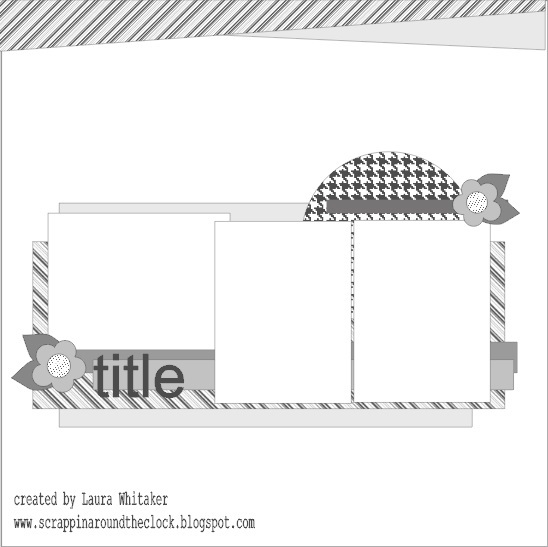 Crate Paper - The Pier collection for All About Scrapbooks. I am in love with that background paper...it is just beautiful! Have a great weekend everyone....I'm off for a day of shopping & visiting. So pretty, great accents and I love the stitched border! Thanks so much for sharing with us at Stuck?! Beautiful page. I love how you used this collection. That floral paper is perfect for the background!! Another perfect page. I do love the bright happy colours you have been using lately. You're so right - those Crate Papers are vert beautiful! Your layout is so delicate and beautiful! with subtle touches of embellies and great photos. Thank you so much for playing with us at Stuck?!. 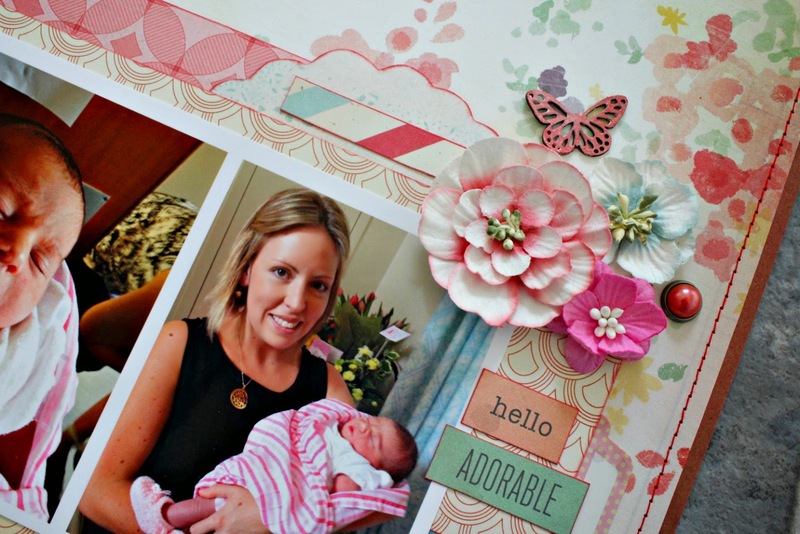 Sweet page Linda....these Crate papers are perfect! Your great neice is a real cutie too! 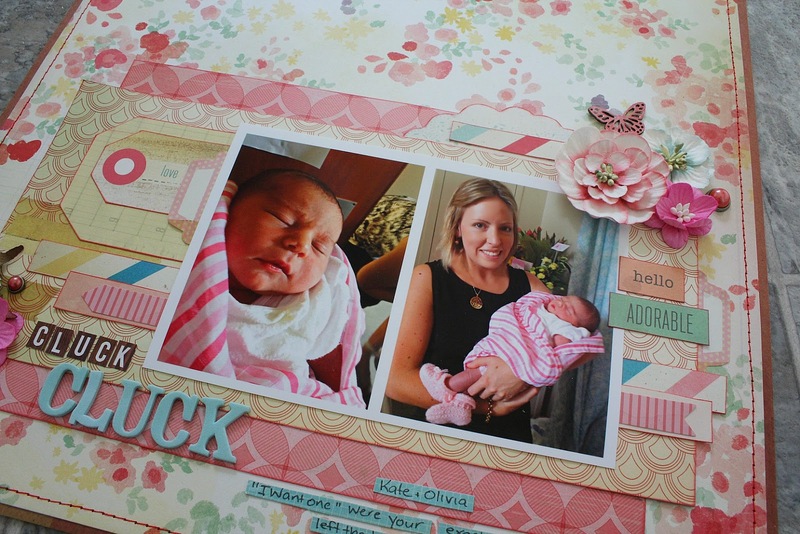 Oh my how cute is this baby layout. I love the photos so sweet and the papers are perfect. Lovely take on the sketch. This is beautiful. 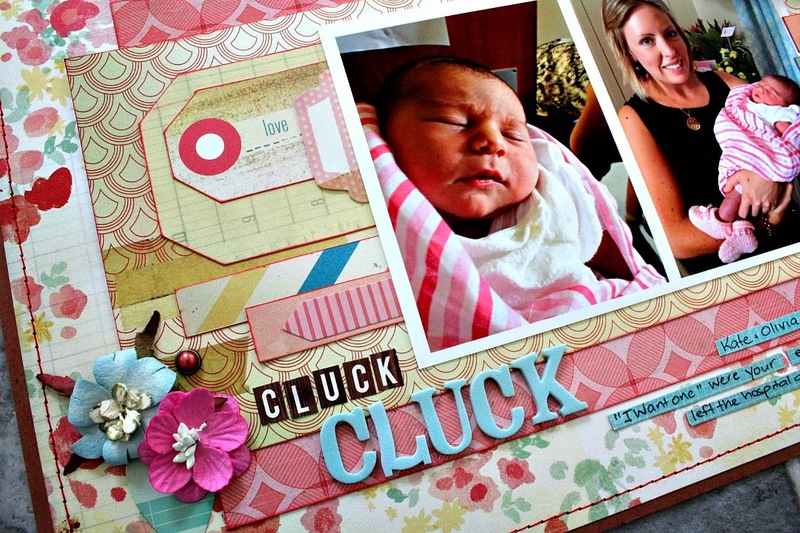 Love your paper choices and your layering is great. Thanks for sharing with us at Stuck?! Totally gorgeous!! Love it. Thanks for sharing it with us at Stuck?! Fabulous colours and your title work really drew me into your story!Thanks for playing with us at Stuck? !